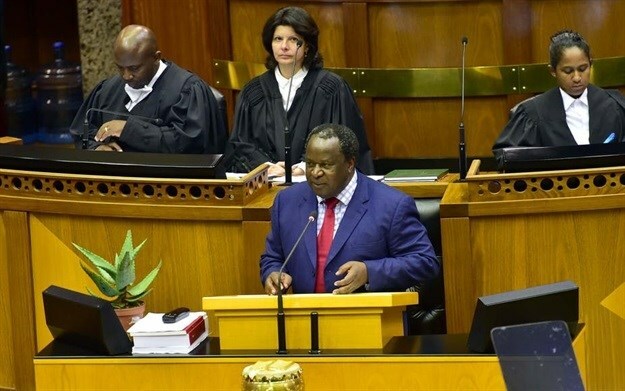 Finance Minister Tito Mboweni's National Budget Speech was predictably conservative - as one might expect within an election year. There were no announcements made that will severely affect homeowners. Similarly, no announcements were made that could potentially stimulate the property market in any significant way either. However, there were enough positive outcomes within the speech to instil a hopeful confidence in the years ahead. As Minister Tito Mboweni himself stated, this is a budget for the future - one in which a seed for renewal and growth has only just been planted. The most important aspect everyone had hoped would be addressed within the speech was that of government’s position on state-owned enterprises. Organisations such as Eskom and SAA have been dragging down our currency owing to their financial troubles. It was a relief to hear Minister Mboweni announce that the national government is not taking on Eskom’s debt. Instead, the government will supply R23bn a year to support Eskom during its regeneration on the condition that a new chief reorganisation officer come on board to make sure the utility is able to turn itself around efficiently. I also applaud the decision to tighten policy around granting guarantees to all SOEs and remain hopeful that this might go towards restoring investor confidence in our country. That being said, more could have been done in order to stimulate the property market. There were no mentions of any changes in transfer duty rates and capital gains tax – a drop in these figures would have translated into higher returns for property investors, which could have stimulated the market and encouraged economic growth. Minister Mboweni also announced that fuel levies would increase by 29c per litre for petrol, and by 30c per litre for diesel. Tax on alcohol and cigarettes will also increase, along with a slight upward adjustment of personal income taxes in the tax-free brackets. These taxes have an important impact on disposable income levels. With less money to spend, more consumers choose to sell and fewer are able to buy, which translates into a buyer’s market and a negative outlook for house price growth. That being said, a total of R950m will go into helping first-time buyers enter the property market over the next three years. In addition to this, government could have increased the threshold for transfer duty exemption (which is currently at R900,000), as this would have helped more middle-income first-time buyers afford the additional costs involved in purchasing property. All things considered, the National Budget Speech sets us up for a year exactly as the minister of finance framed it: a resilient, drought-resistant aloe that will survive harsh external factors. While there weren’t many announcements that could be considered a cause for celebration for consumers, there were at least no unpleasant surprises. I remain hopeful for stable economic recovery from last year’s recession that will strengthen the property market over time. Investors would do well to seize the gap by purchasing property now before the positive long-term effects of the Budget Speech come into play, causing house price growth to climb once more. We now wait with bated breath for the May elections. I believe positive sentiment will flow from a smoothly run election and I believe most South Africans just want this behind them now so that they can focus on building their future with some certainty.